April, 2018 | AllTech Services, Inc. It can be difficult to keep your plumbing system in good shape over the years. 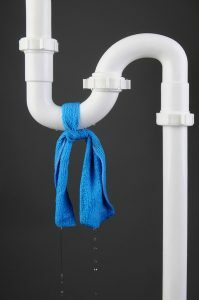 After all, it’s mostly hidden from view, and most of the problems that can develop with your plumbing system won’t give off any warning signs unless they’ve been around for a while already. Your pipes won’t last forever, even under the best circumstances. If you follow the tips below, however, you can at least ensure that they will last as long as possible. And remember, when you do need assistance, you needn’t look any further than our team to find a highly trained, professional plumber in Fairfax, VA.
Springtime marks a shift in the weather as cooler temperatures slowly but surely dissipate and the heat of summer draws closer. 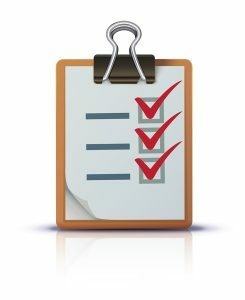 Right now is the best time to arrange for your air conditioning system’s annual maintenance appointment—or biannual if you have a heat pump system. There are a few basic jobs you can do on your own when it comes to maintaining your Leesberg HVAC system, such as changing the air filter and making sure your outdoor unit and vents are unobstructed. However, if you want to truly make a difference in the performance and efficiency of your air conditioner, then you need professional maintenance done by trained HVAC technicians. Only an experienced professional can handle the various tasks involved with this service, such as inspecting motors and electrical connections, and cleaning coils and all other moving parts. 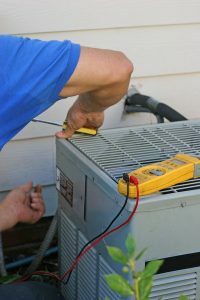 You can count on our technicians to provide your air conditioner with top quality maintenance! In our previous post, we talked about how the end of winter is no time to ignore heater repairs. Doing so can allow them to worsen to the point you may even be stuck with a broken down heater next fall. Of course, there’s also the chance that you’ll find your aging heater can’t take any more repairs, and that it’s actually time for Sterling, VA heating replacement, instead.